Two versions were made. 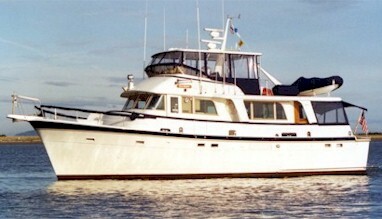 The Mark I version is a trunk cabin full displacement trawler built between Aug. 1976 and Oct.1978. 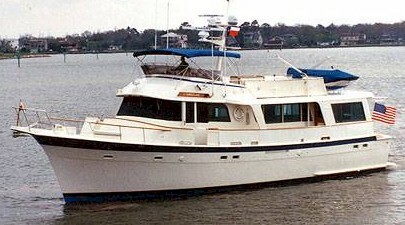 The Mark II version was built Feb. 1980 to Jun. 1985. 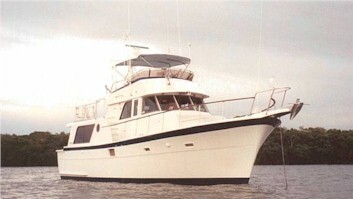 The Mark IIs have a full width aft cabin and L shaped galley. 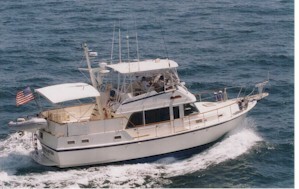 Hatteras built the pilothouse 48 LRCs beginning Feb. 76 and ending Jun 81. Most of these seaworthy vessels had two staterooms but two were built with 3 staterooms. Hatteras build a bigger version of the successful LRC line starting in Jan. 1982. The last one was finished in Oct 1985, ending the LRC production at Hatteras.